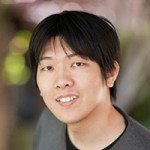 Treasure Data is now GA on Heroku! We are pleased to announce that Treasure Data Heroku Add-on is now GA on Heroku! Treasure Data Hadoop Add-on lets Heroku users access our cloud-based data analytics platform without worrying about scalability, data integrity or uptime. We were in public beta for several months, and we are confident that our add-on will be a boon for any Heroku user trying to analyze a large amount of data. Many thanks to our early adopters and the Heroku Team!